This is a beautiful post and it made me teary! They are so precious when sleeping and at least a portion of the time when awake. I LoVe the pictures. I”m so glad you share your gifts of photography and writing! Great descriptions and writing! My daughter is 4 and I still go in and check on her before I go to sleep—I agree that is one of the best parts of the day! She is not the easiest in the morning, but I still look forward to her waking up and beginning the day! 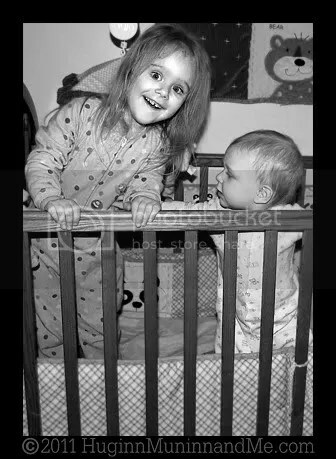 When she was a baby I loved hearing her wake up and she was the happiest little thing in the morning —all smiles—I miss those days! I guess you have the best of both worlds right now with an older and younger child! Thanks for all the positive comments left on my blog! They made my day! Looking forward to your St. Patrick’s day line-up! This made me sniffle. Very sweet. I absolutely adore the pics in this entry. Time for me to change my desktop wallpaper at work!! 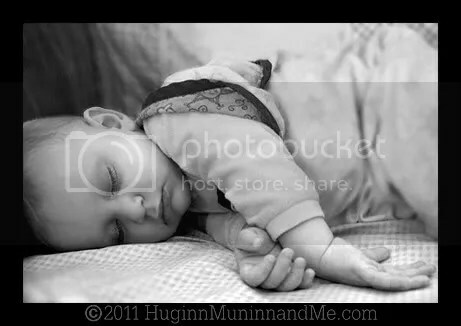 i’m gonna go ahead and say my favorite part of havign kids will be when they sleep too. nah, just kidding. but they do look so sweet and innocent when they aren’t destroying everything!! it’s like the newborn syndrome. reel you in with that cute sleepyness then BAM monster! Your days aren’t easy but they’re beautiful. What gorgeous children! And both growing so fast! Rowan’s little sunny face smiling at you from the crib is so precious. 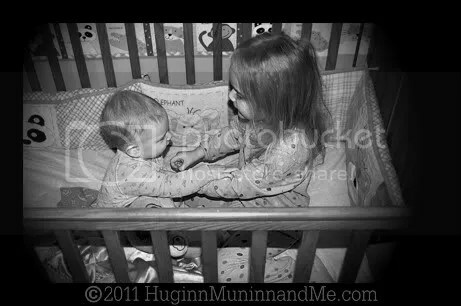 You know, it’s funny that my 3 year old has now been climbing into the crib with his sibling some mornings, just like Teagan is doing! It’s only been a couple weeks. And they can’t get out so after much fun, they start the hollering to be rescued. 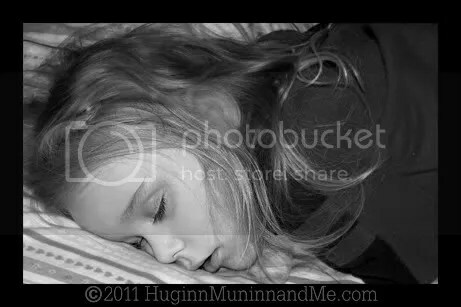 Great idea you have for this post, the sleeping photos are really wonderful, and your narrative is so motherly and warm.